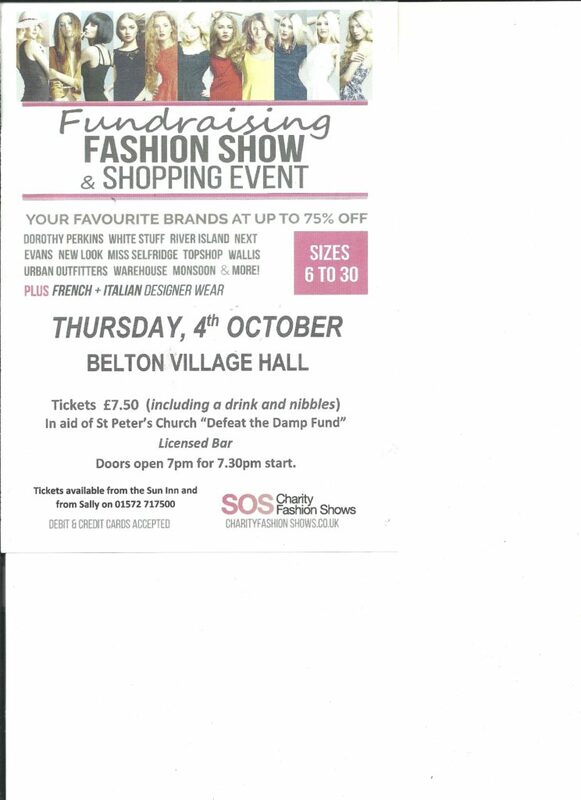 Tickets, for the very professional, Fashion Show, 4th October in Belton Village Hall evening, are selling fast. They bring many racks of cloths for you to purchase! See attached poster. There is a limit of 100 we are allowed into the Hall, so get your tickets. If we have over 70, the SOS Fashion show people give £50 Raffle voucher to spend on the night! My daughter Evie is hosting a Macmillan Coffee Morning on Saturday 29th September, from 10.30 til 1, at the Village Hall.